Last night I finished a handful of units for my US faction. These are all from Ground Zero Games. 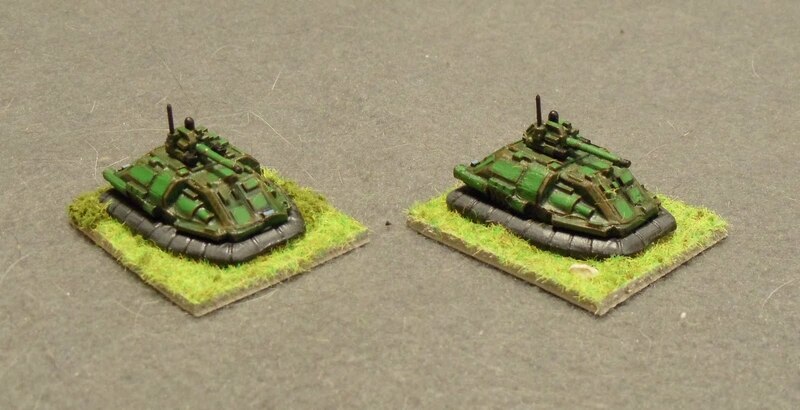 First up is a pair of light tanks. 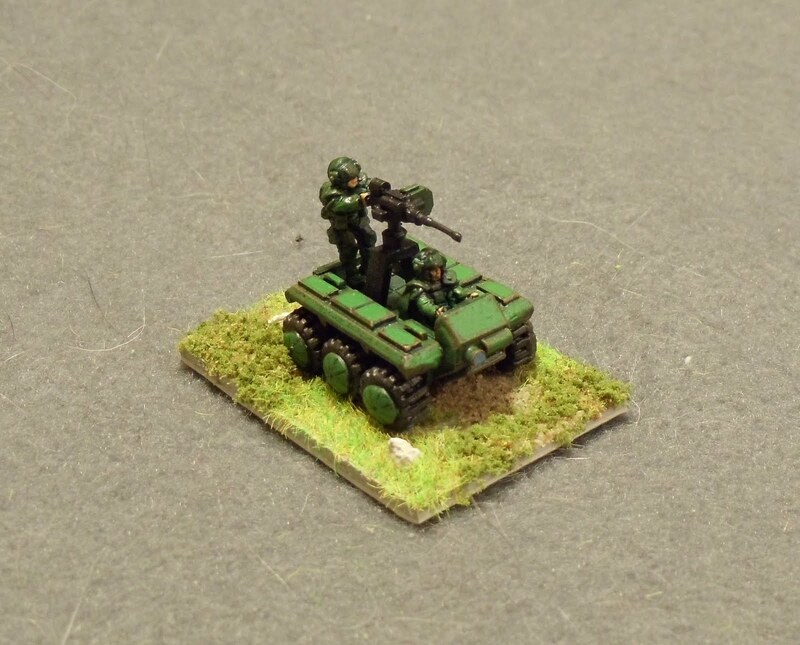 Next is a 6-wheeled buggy with a rear gunner. 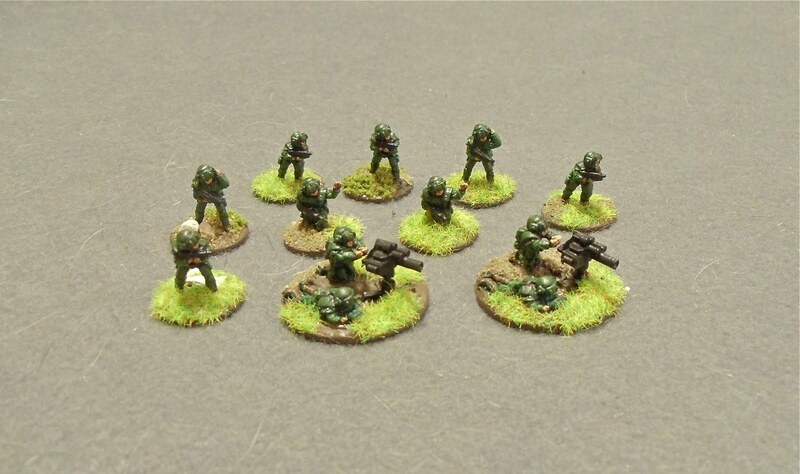 And finally is a group of infantry. I decided to start doing putting the heavy weapon teams on one base instead of one base per figure. Next up is the last of the US vehicles and a few heavy weapon teams. Also tomorrow night I'm having a couple friends over for a few games of Mansions of Madness. I'm really looking forward to this game.